Lovely cottage with private parking, one minute's walk from Mousehole Harbour. 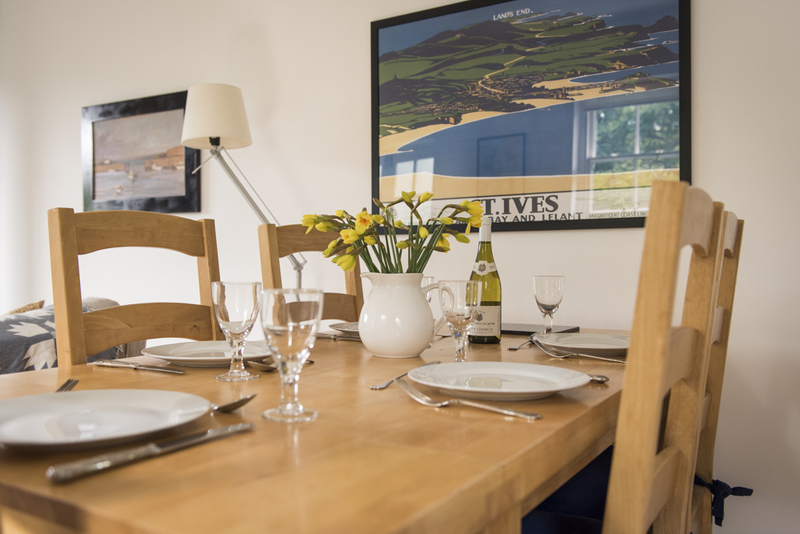 Converted from the village's original telephone exchange, the cottage is single-storey, light and bright, with comfortable furnishings and original paintings. There is a spacious sitting room with oak floors and a wood burning stove for winter evenings. 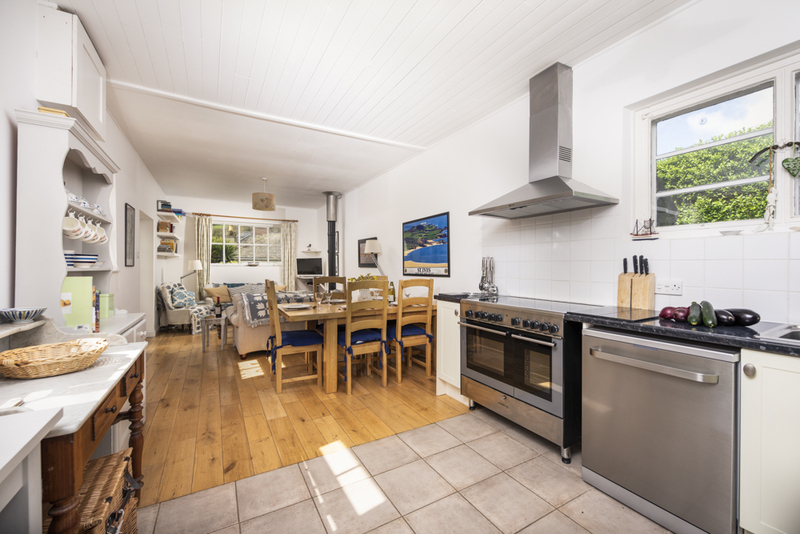 A fully equipped kitchen for those who like cooking; with range cooker, dishwasher, Le Creuset cookware and all the utensils you could wish for. There are two bedrooms; one with two single beds, the other with a luxury kingsize bed. Quality linen and towels are all provided. Tiled bath with overhead shower. Laundry room with a washing machine and drying rack. Secluded outside terrace off the kitchen with table, 4 chairs and a chiminea for barbecuing. There is another terrace with table and chairs at the top of the lawned back garden, while another table and two chairs sit in the front garden.